Collins Booksellers - Developing Sustainable Agriculture in Pakistan by Iqrar Ahmad Khan & Muhammad Sarwar Khan, 9781351208215. Buy this book online. Pakistan has a strong agrarian base and agriculture is its main factor in economic growth. Due to fixed cropping patterns, reliance on few major crops, narrow genetic pools, poor seed quality and changing climate, agriculture production is compromised throughout the country. 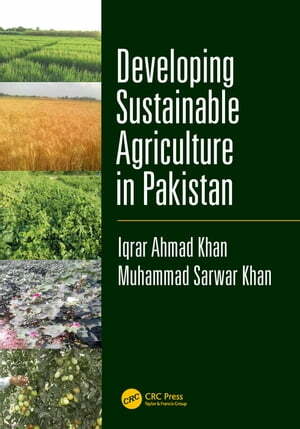 This book provides an overview of trends and inadequacies in agriculture practices in Pakistan. It discusses land use, agricultural production and health, populace development, regional and international policies, and value-added products through improved supply-chain management. Ultimately identifying problems in the industry, it provides remedies to these problems and ways of moving forward towards improvement.